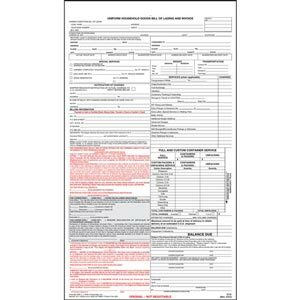 Required by EPA and DOT for all generators who transport, or offer for transport, hazardous waste for off-site treatment, recycling, storage or disposal. 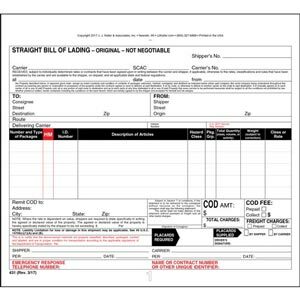 Short form straight bills of lading are packaged for retail sale, shrinkwrapped with a header card. 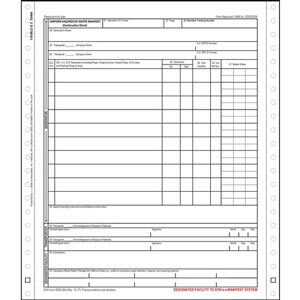 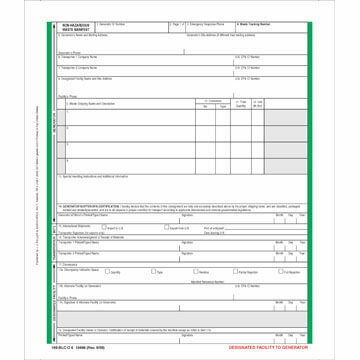 These forms are used to ship non-hazmat loads. 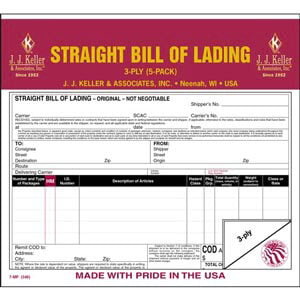 Straight bills of lading are packaged for retail sale, shrinkwrapped with a header card. 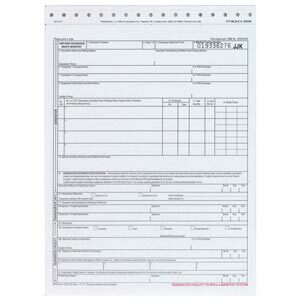 Can be used for non-hazmat or hazardous material shipping. 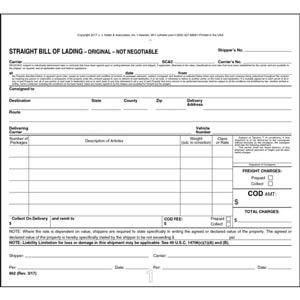 Short form straight bills of lading are used to ship non-hazmat loads. 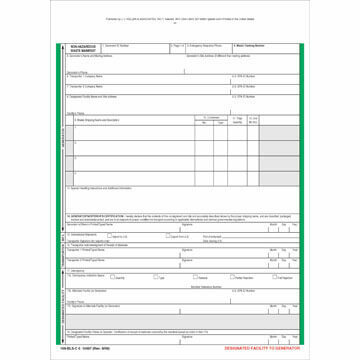 These forms are available with carbon or carbonless in different format, ply and size options. 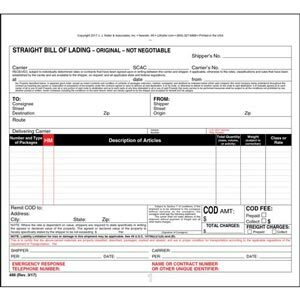 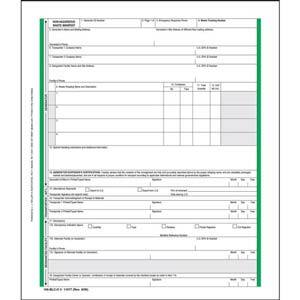 Straight bills of lading can be used for non-hazmat or hazardous material shipping. 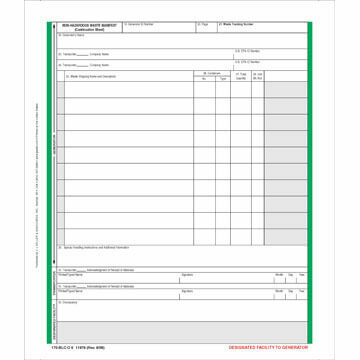 Available with carbon or carbonless in different format, ply and size options. 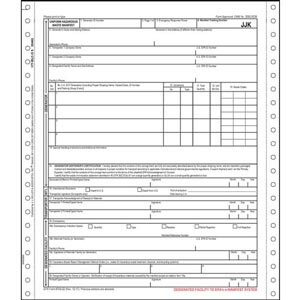 These standard moving industry freight bills of lading meet DOT and interstate requirements for household goods shipments. 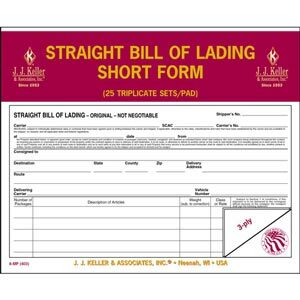 Universal straight bills of lading are for shipping by truck, rail, air or water. 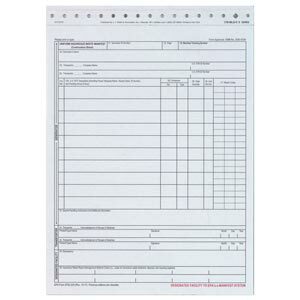 Available with carbon or carbonless in different format, ply and size options.